Clark Burbidge is best known for writing the StarPassage series. The third book of the StarPassage series, Honor and Mercy, was released this summer. In Book 3, teenagers Tim and Martie Carson return with new friends Mike and Ronnie, who are transported by the ancient star relic to experience major events in history: a desperate flight on a WWII bomber introduces them to extraordinary acts of bravery and loyalty; a colony of humble friars acting as first responders during the deadly Black Plague teaches selflessness; getting trapped in the middle of a violent battle at Gettysburg, the Black Hole of Calcutta and the biblical village of Bethany with the dangerous Trackers in hot pursuit shows the spirit of never giving up hope. YEM spoke with author Clark Burbidge about his inspiration for the book series. 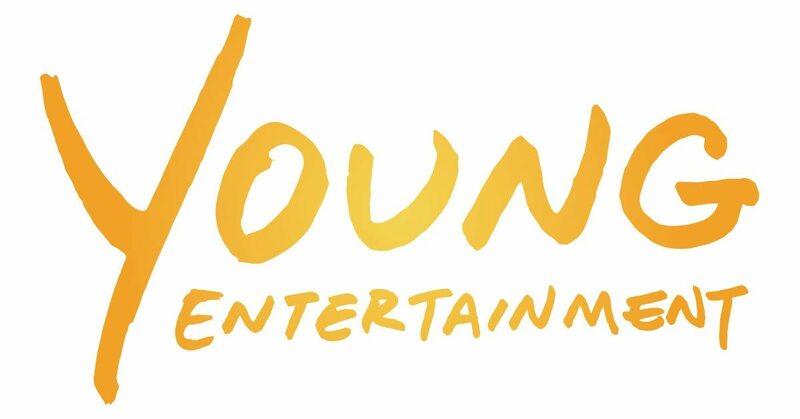 Young Entertainment Mag: How did you first get involved in writing? Do you have any writing influences? Clark Burbidge: I spent 35 years as an investment banker and Chief Financial Officer. I loved my career which required a very high level of writing and presentation skills. I have always been a story teller and eight years ago I was in between jobs and had some ideas about stories I wanted to share with others. I started with a non-fiction book and a Christmas book that were well received after the usual bouncing around to find a publisher. I have never looked back. Now with two young adult fiction trilogies and seven international gold medal winning books it has been a satisfying and rewarding journey. The influences for my fantasy and time travel/paranormal trilogies include Charles Dickens, CS Lewis and JRR Tolkein. They knew how to tell stories that draw the reader in and allow a reader to have a personal experience with the characters. It is always my goal to do the same so my readers are not so much reading but stepping into my fictional world with the characters and walking at their side. YEM: How did you come up with the idea for the StarPassage series? Clark: Authors see the world differently than other people. The simplest things and situations come alive in their minds and suddenly they are on a path somewhere unexpected and amazing. StarPassage developed in this way. It was a few weeks before Christmas and my wife and I stopped by to visit one of our sons and his family. They were decorating the Christmas tree and had just unboxed a stunningly beautiful silver star that they were going to put on the top of the tree. The moment struck me and I commented on how beautiful the tree-topper was and that something that exceptional must have magical powers worthy of a book. The thought stayed with me over the holidays and a new saga began to form in my mind. An ordinary looking object found under mysterious circumstances that turns out to be strange, powerful and sometimes dangerous…yes that would be cool! That is where it all started and now it has become three award winning books. YEM: What can fans of StarPassage expect from the newest book? Clark: Book Three, StarPassage: Honor & Mercy, of the triple award winning series ramps up the intensity and danger surrounding our travelers and the use of the ancient relic. The evil and relentless Trackers bring the battle for earthly souls to the Present Time. There is no safe space for the Carson’s and their growing group of friends as they face the apocalyptic implications. The possibility of a betrayal exists and the challenge of trying to resist the Tracker’s plans when you can’t see them makes the suspense almost unbearable. Certainly new and even more dangerous passages into history are involved. Their triple quest to unravel the relic’s riddles and combat the Tracker threat while dealing with their own personal challenges transport our heroes into desperate historical moments. New friends and old enemies add to the story in unexpected ways. It was a wild ride to write and I expect it will be every bit as exciting to read. YEM: StarPassage features action, fantasy, historical fiction and more. Is it challenging to combine many genres into one story? Clark: It isn’t so much combining genres as it is blending individuals from the present time into historical circumstances. It does present extraordinary challenges in getting the details correct and especially imagining the difficulties and subtle dangers associated with suddenly appearing in a foreign place in history. Often my characters have little or no previous experience with the historical period and the natural dangers of simply being present during dangerous events. The decision whether to become visible and interact with the people of the time is also always a risk. Also my stories are not just about time travel. They are also about the dangers of staying too long and drawing the tremendously powerful Trackers across time and space to the traveler’s location. My readers learn this happens whenever they use the relic. It creates a complex task for a writer but it also is extraordinarily fun to experience the adventure with the characters as I write. YEM: You did a lot of research for this book. Tell us about that. Clark: Writing my StarPassage books has created a need for far greater levels of research than any of my previous efforts. Not only do I have to get the current time period, scenes and chapters correct which can include physical therapy, locations and attitudes, I need to do the same with a half dozen historical settings and the real historical people involved. It is therefore tricky to describe research on my new book without spoiling the surprises and the flow of the story. (Slight spoilers) My research this time covered an actual WWII B-17 bombing mission over Europe, a medieval group of first responders as their town is besieged by the Black Plague, an ancient middle eastern lost tomb, an iconic British colonial 18 th century tragedy, a chance meeting with an famous figure from American History and a desperate moment during a key Civil War battle where history was changed by the right people in the right place taking decisive action. These and other exciting moments provide a diverse and unexpected series of passages for readers to experience. The cool part is that they flow together to weave lessons and help our heroes put the puzzles together in their own lives. Any reader that joins us will have a great ride but also learn a lot about themselves. Writing about so many different times and places requires extensive and varied research. That is part of the fun of discovery for me. History often turns on the most simple and seemingly insignificant moments or decisions. We see that at every turn in Book Three. YEM: How did you get inspired to write about previous generations? Clark: I have always enjoyed reading about history and have especially focused on learning about moments when seemingly small decisions or otherwise ordinary people being in the right place at the right time changed history. It has helped me develop a strong sense of appreciation for our ancestors who faced impossible challenges, risked their lives or in many cases gave their lives for a worthy cause that helped pave the way for the safer more secure world in which we live today. We owe them honor and respect, perhaps even reverence, for their sacrifices. It is my hope that through this series, readers will gain greater appreciation and some perspective that our lives and accomplishments are possible in part because of those who have gone before. As we discover this perspective it allows us to recognize that those who come after will be impacted by how we live today. Our efforts to become something more and better than we might otherwise have been will pay-it-forward for generations. We can make a difference and the work we put into doing that is worth it. YEM: Is it hard to get in the mindset of characters that are from another time period? Clark: This is the greatest challenge of doing research. Getting details right about times, places, dress, customs, tools, etc. is important but relatively straight forward. But getting into the minds and understanding their hearts requires a much different level of research. I read not just the stories of the period but the writings of those who lived there. This reveals individual thoughts and feelings about their circumstances. It allows me to gain insight into their hopes and fears and especially on occasion what they hope people will learn from their writings. I try to climb into the soul of these individuals and see the world through their eyes and feel it through their hearts. I in fact must engage in my own time travel to write about my character’s time travel experiences. One of my goals is to write in such a way that my readers may transport themselves into the story as I did when I wrote it. The StarPassage series is not just a story about time travel, it is an opportunity for every reader to participate in traveling through time. 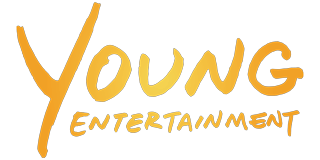 YEM: What is so special about writing for young adult readers? Clark: Young adult, Teen, Middle Grade and some very fortunate older readers share one wonderful trait in common. They believe! Too often as we grow we begin to view life through the dark spectacles of skepticism and doubt. We can lose the joy that comes from the simple beauties of life. We no longer notice the innocent acts of kindness all around us that make life exciting and wonderful. As a writer it is my nature to notice these small things that combine to create the potential that every day can become an exciting and beautiful adventure. My audience sees this too. They are not ignorant of the strife and darkness in the world. But they choose to focus on the positive, the hope and the wonderful magic that is all around us. Because of this they do not find it hard to believe that a simple looking relic might have special powers or that time travel could be possible although fraught with danger. It is not hard for them to imagine that even the most difficult circumstances, in which some of my characters find themselves, can be filled with hope. These attitudes allow the rising generation to make a difference and create a better world. My books speak to that part of every reader. YEM: What advice would you give to young readers that want to become authors? Clark: Three things: Write. Have your writing edited and apply the lessons you learn. A good editor may suggest lots of changes, some may be difficult to address but they will make the manuscript better in the long run if the editor does not try to change your voice. Always remember it is your work and your voice at the end of the day. See. As you walk through life see the world through different eyes. Any moment can bring a unique insight or new way of seeing something others view as mundane. A simple star sitting atop a Christmas tree began a thought in my mind that has now become three Gold Medal winning books. As you stretch yourself to see new horizons, new possibilities and the beautiful magic that is in the world all around, everything becomes possible. Give Back. There will be many opportunities along your path to uplift others and be generous. Take the time to give back and make it part of your outreach to the world. I have done this through my “Live with the Heart of a Giant” tour to schools, communities and faith based groups. It has inspired young people all over our country to believe in themselves, overcome the challenges they face, that they are good enough to do hard things and have the ability to make a difference and that they are never alone. Head over to YEM’s Twitter on Thursday as Clark takes over our account!